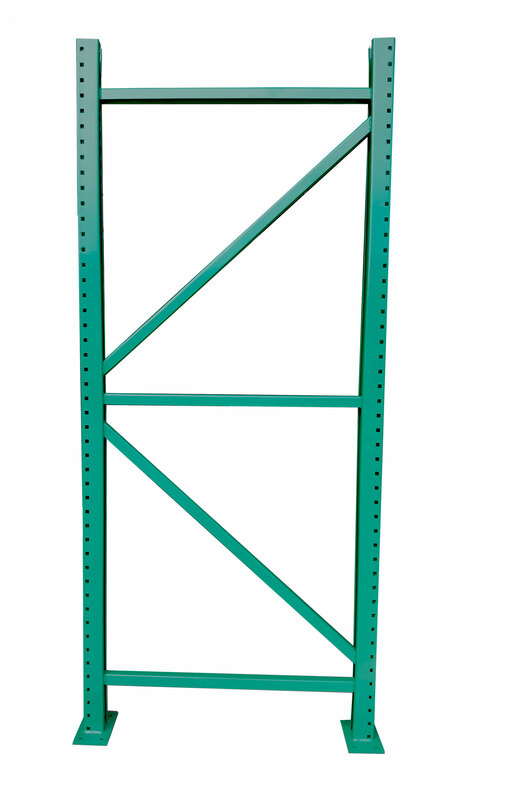 These teardrop style pallet racks uprights feature an improved column design and large base plates. 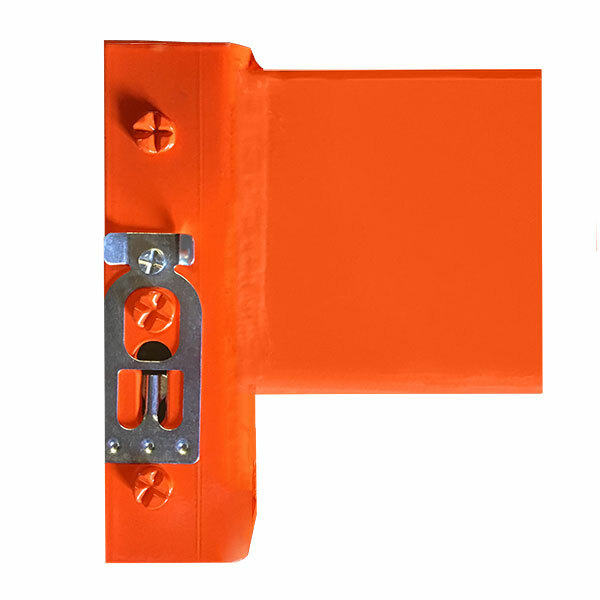 Constructed from heavy-duty US steel and Made in the USA. The beams are adjustable in 2-inch increments. Frames have one or more diagonal braces. An applied powder coat finish helps to resist chips and scratches. Standard color is green. 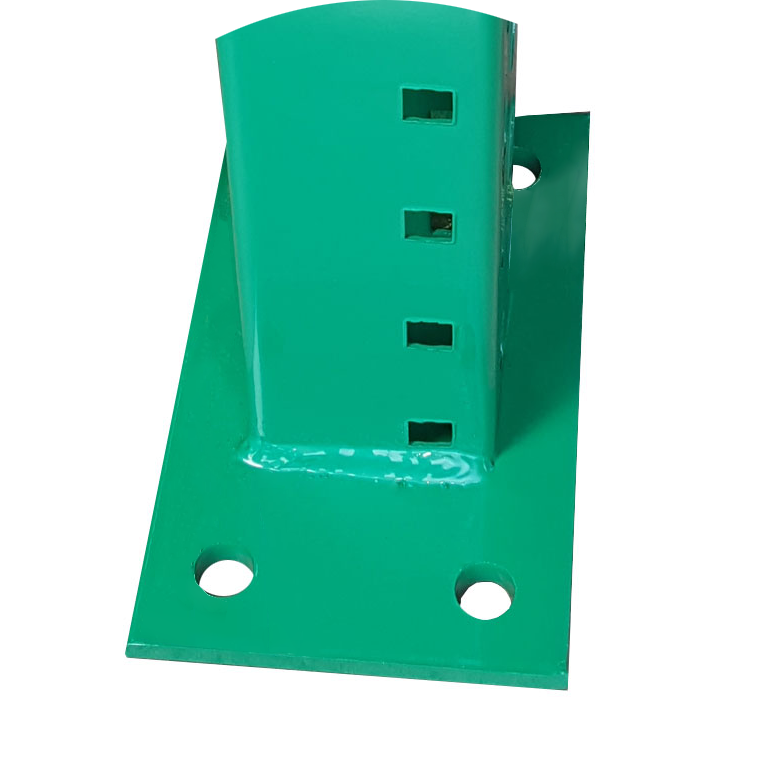 All uprights feature a standard 5″ x 8″ base plate. Unlike static footplates, ours adds surface area and strength. Ideal for US south-west regions. Each footplate requires four anchor bolts. 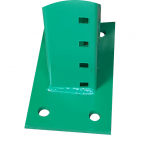 These 4″ step beams use a 3-pin connector that keeps beams securely attached. Constructed from heavy-duty US steel and Made in the USA. Two beams are required to form a shelf. 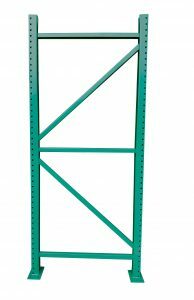 Beams fit most major pallet rack brands. An applied powder coat finish helps to resist chips and scratches. Standard color is orange.